From a hectic Mumbai lifestyle to a property portfolio and career in Invercargill, a successful young investor is now sharing his property journey. In 2002, when Avinash Varghese was 17, he was living in Mumbai – a massively dense, cosmopolitan city with a population of 18 million, an average annual high of 32 degrees Celsius and shops which never close. Then his family moved to Invercargill. His new home was almost 12,000 kilometres away, with a population of 50,000 and an average annual high of 14 degrees Celsius. 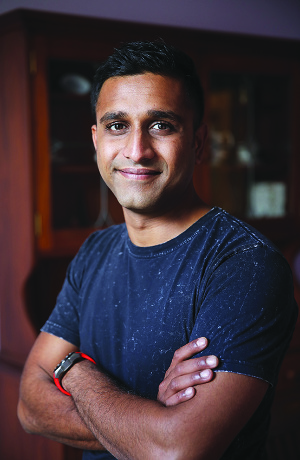 He’s now one of Invercargill’s most passionate advocates, but Varghese - who is profiled in this month's NZ Property Investor magazine - is the first to admit he wasn’t too impressed at the start. Everywhere he went he was instantly identified as an outsider and constantly needed to explain that English was his first language. But, even as a 17 year old, he was able to see some of the upsides of one of the world’s southernmost cities – and one of those was property. Varghese’s father suffered a life-threatening health scare at the time of the family’s arrival in Invercargill and that prompted his father to look into property. He thought that opportunity lay in property as it was so abundant and affordable in Invercargill compared to Mumbai. This prompted the family to purchase some rental properties and establish a property management business. Along the way, Varghese purchased six properties for himself and, following his father’s death, he took over the running of the family’s property management business which he is scaling up. He believes Invercargill is a brilliant place to invest, to live to work and to build a business. He also thinks it’s severely under-priced right now and that there’s nowhere in New Zealand that offers better value for money. “In Invercargill, you can work a menial job and live in a house with so much space, it’s extravagant. "Any young person not spending $180,000 to $240,000 on a house is not making a mistake. To read more about Varghese’s property journey, click here to get the digital issue of NZ Property Investor magazine.